Fuel range and water storage is a concern of every adventurer. Easily carry 1l to 1.5l fuel or water bottles with the OBR ADV Gear Bottle Wrap. The OBR ADV Gear Bottle Wrap is a versatile solution to carry varying sizes of fuel/water bottles anywhere on your luggage kit. 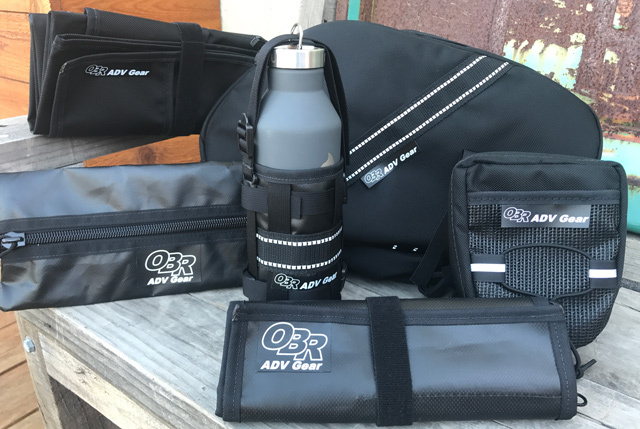 The OBR ADV Gear Bottle Wrap is a basic wrap panel with a series of web loops that allows secure fuel/water bottle attachment via your existing luggage straps.